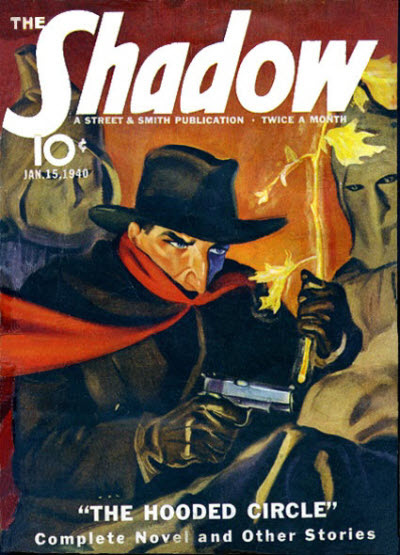 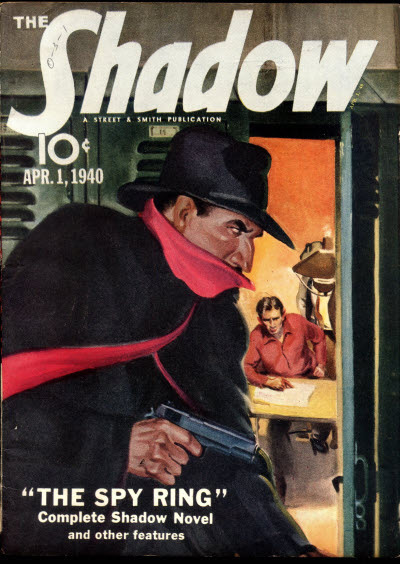 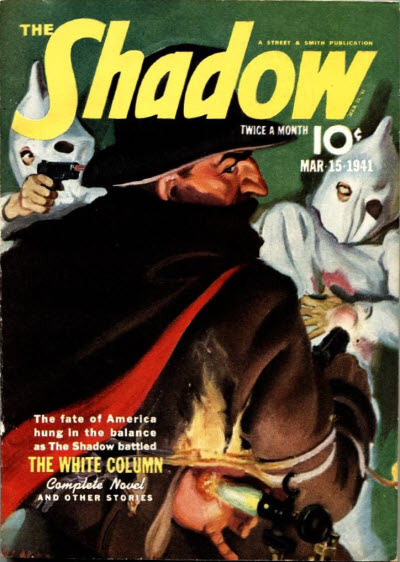 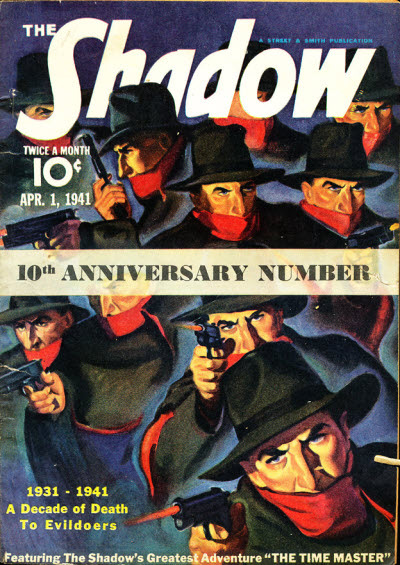 9 · The Hooded Circle [Kent Allard (The Shadow)] · Maxwell Grant (by Walter B. Gibson) · n.
9 · The Getaway Ring [Kent Allard (The Shadow)] · Maxwell Grant (by Walter B. Gibson) · n.
9 · Voice of Death [Kent Allard (The Shadow)] · Maxwell Grant (by Walter B. Gibson) · n.
9 · The Invincible Shiwan Khan [Kent Allard (The Shadow); Shiwan Khan (The Golden Master)] · Maxwell Grant (by Walter B. Gibson) · n.
9 · The Veiled Prophet [Kent Allard (The Shadow)] · Maxwell Grant (by Walter B. Gibson) · n.
9 · The Spy Ring [Kent Allard (The Shadow)] · Maxwell Grant (by Walter B. Gibson) · n.
9 · The Prince of Evil [Kent Allard (The Shadow); Benedict Stark (Prince of Evil)] · Maxwell Grant (by Theodore A. Tinsley) · n.
9 · Death in the Stars [Kent Allard (The Shadow)] · Maxwell Grant (by Walter B. Gibson) · n.
9 · Masters of Death [Kent Allard (The Shadow); Shiwan Khan (The Golden Master)] · Maxwell Grant (by Walter B. Gibson) · n.; not the same as the story with a very similar title in the September 15, 1933 issue. 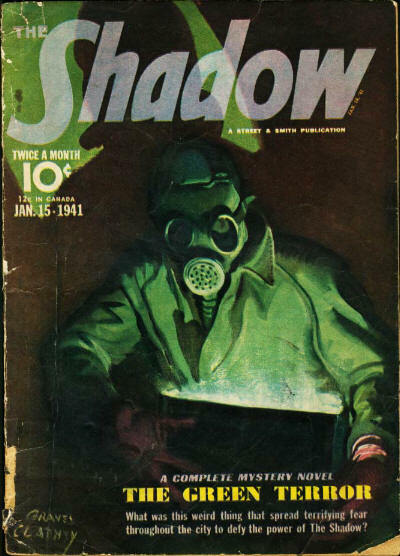 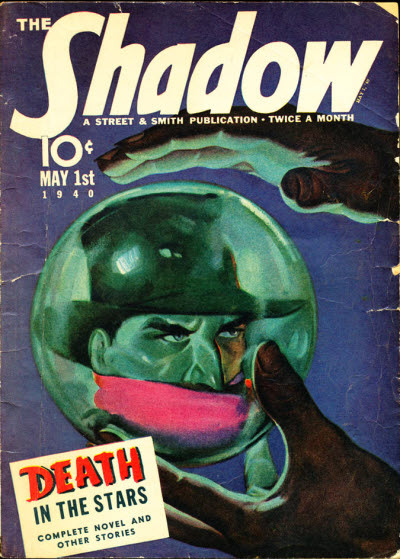 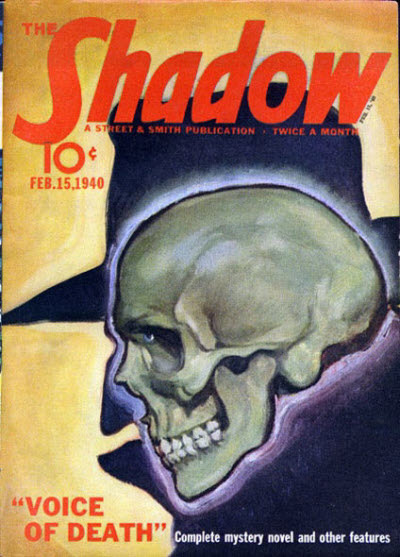 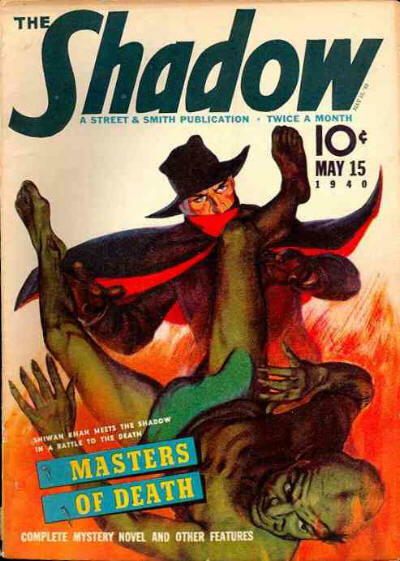 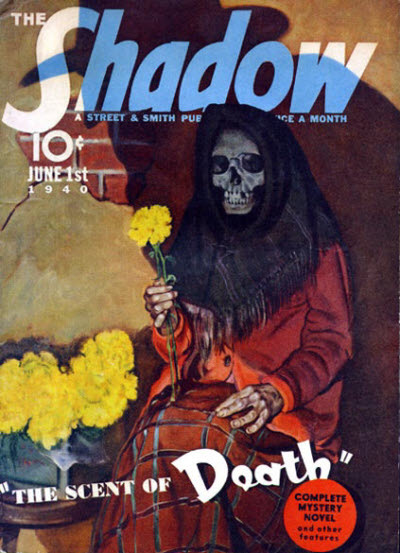 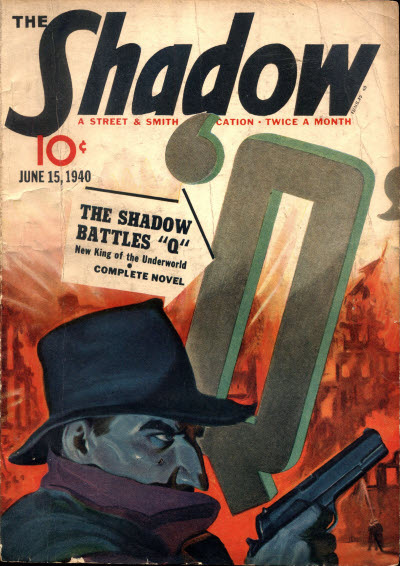 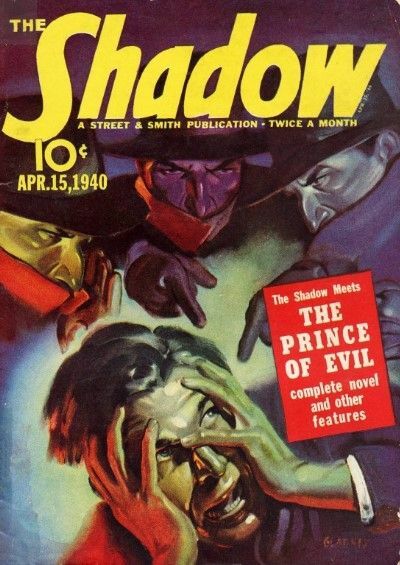 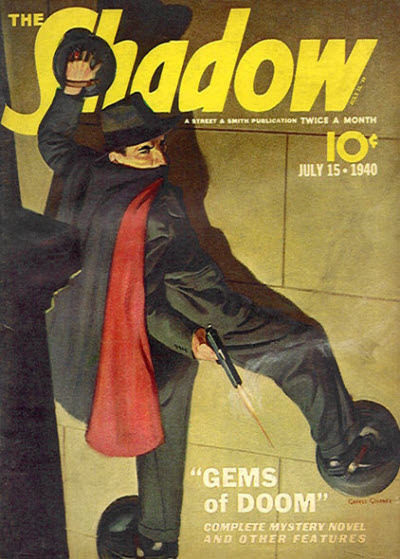 9 · The Scent of Death [Kent Allard (The Shadow)] · Maxwell Grant (by Walter B. Gibson) · n.
9 · Q [Kent Allard (The Shadow)] · Maxwell Grant (by Walter B. Gibson) · n.
9 · The Murder Genius [Kent Allard (The Shadow); Benedict Stark (Prince of Evil)] · Maxwell Grant (by Theodore A. Tinsley) · n.
9 · Gems of Doom [Kent Allard (The Shadow)] · Maxwell Grant (by Walter B. Gibson) · n.
9 · Crime at Seven Oaks [Kent Allard (The Shadow)] · Maxwell Grant (by Walter B. Gibson) · n.
9 · The Fifth Face [Kent Allard (The Shadow)] · Maxwell Grant (by Walter B. Gibson) · n.
9 · Crime County [Kent Allard (The Shadow)] · Maxwell Grant (by Walter B. Gibson) · n.
9 · The Man Who Died Twice [Kent Allard (The Shadow); Benedict Stark (Prince of Evil)] · Maxwell Grant (by Theodore A. Tinsley) · n.
9 · The Wasp [Kent Allard (The Shadow); The Wasp] · Maxwell Grant (by Walter B. Gibson) · n.
9 · Crime Over Miami [Kent Allard (The Shadow)] · Maxwell Grant (by Walter B. Gibson) · n.
9 · The Devils Paymaster [Kent Allard (The Shadow); Benedict Stark (Prince of Evil)] · Maxwell Grant (by Theodore A. Tinsley) · n.
9 · Xitli, God of Fire [Kent Allard (The Shadow)] · Maxwell Grant (by Walter B. Gibson) · n.
9 · The Shadow, the Hawk and the Skull [Kent Allard (The Shadow)] · Maxwell Grant (by Walter B. Gibson) · n.
9 · Forgotten Gold [Kent Allard (The Shadow)] · Maxwell Grant (by Walter B. Gibson) · n.
9 · The Green Terror [Kent Allard (The Shadow)] · Maxwell Grant (by Theodore A. Tinsley) · n.
9 · The Wasp Returns [Kent Allard (The Shadow); The Wasp] · Maxwell Grant (by Walter B. Gibson) · n.
98 · Hook McGuire Hooks a Killer [Hook McGuire] · George Allan Moffatt · ss; not the same as the story of the same name in the May 15, 1939 issue. 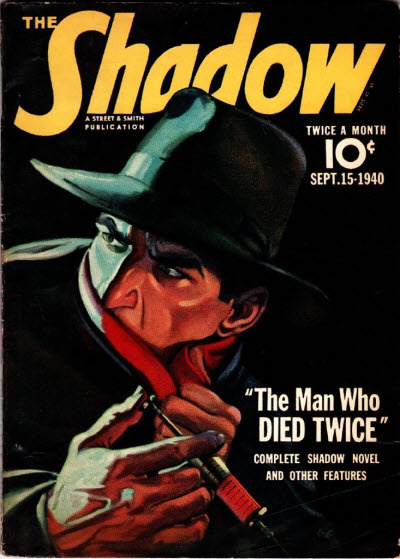 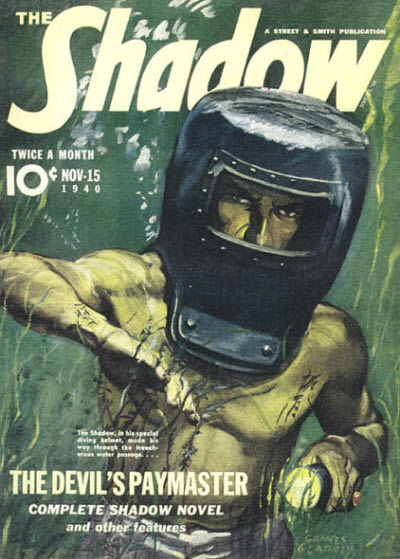 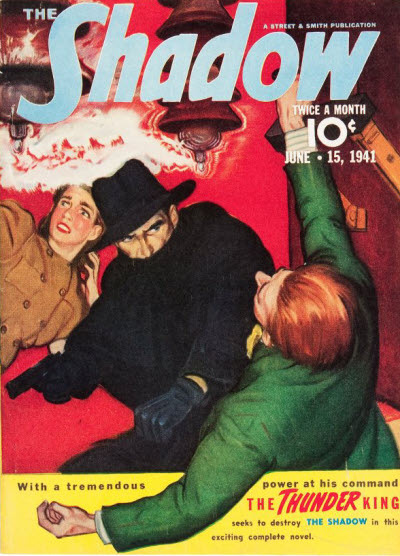 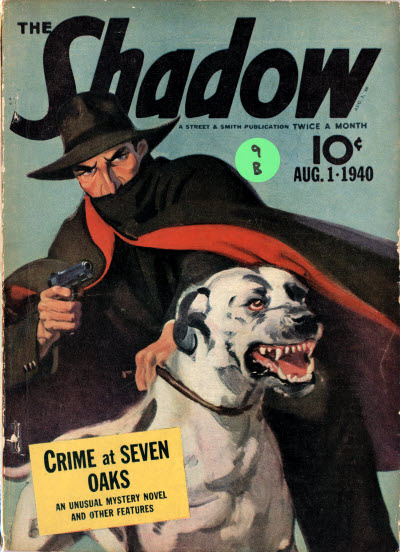 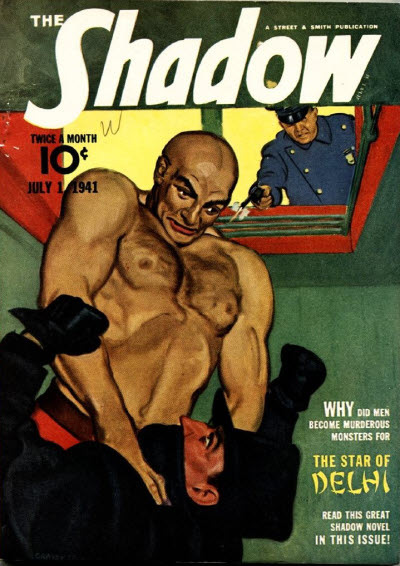 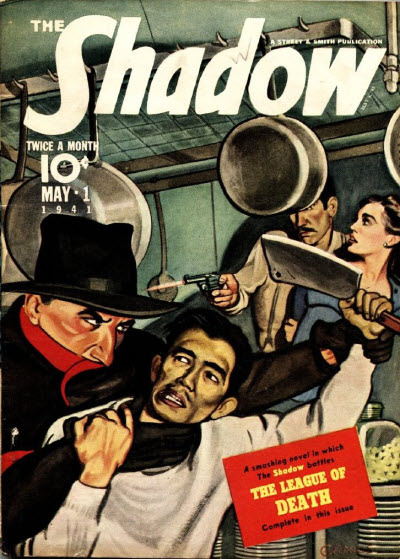 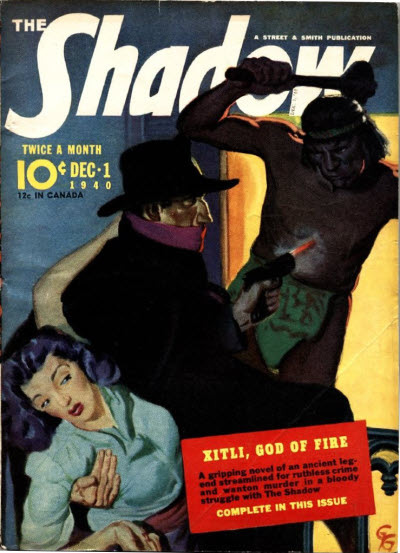 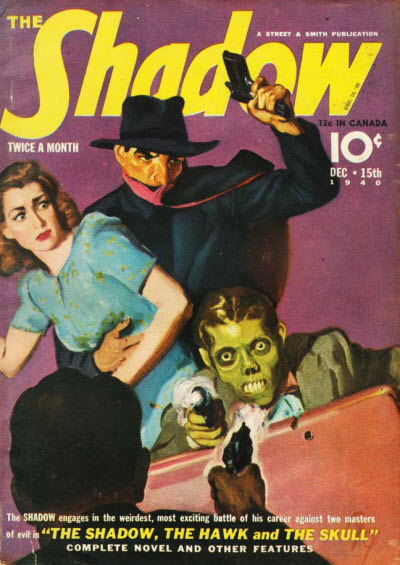 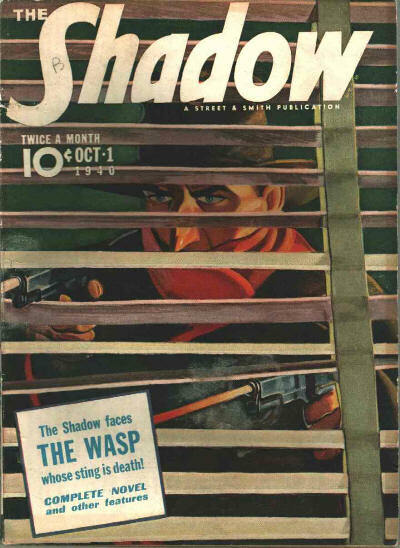 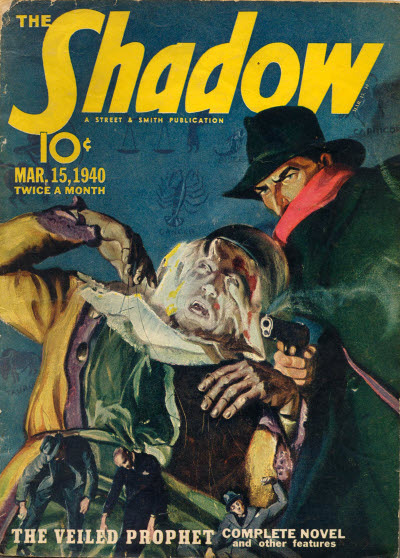 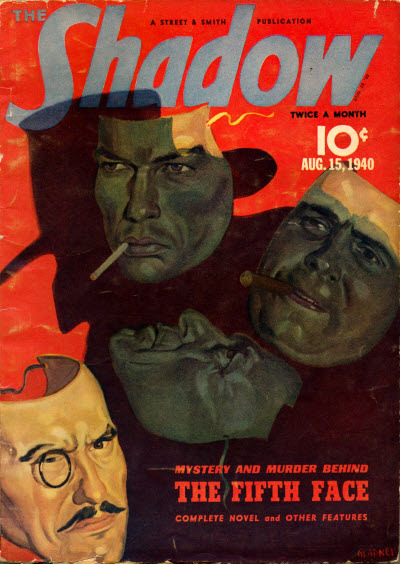 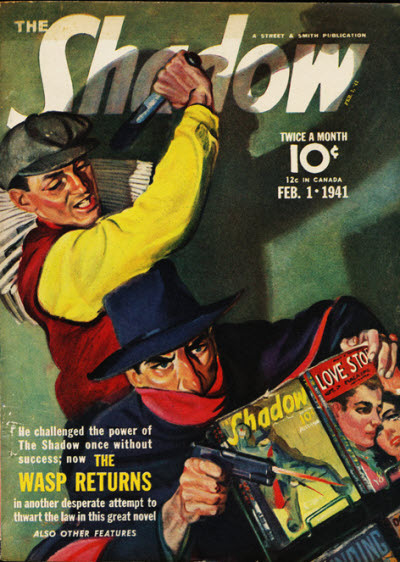 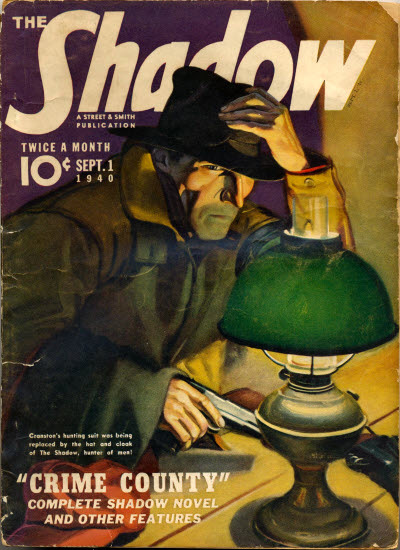 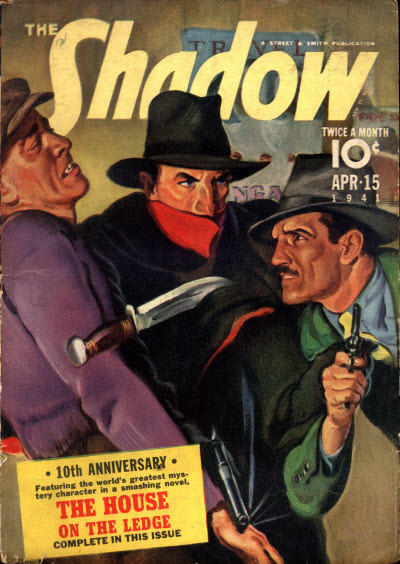 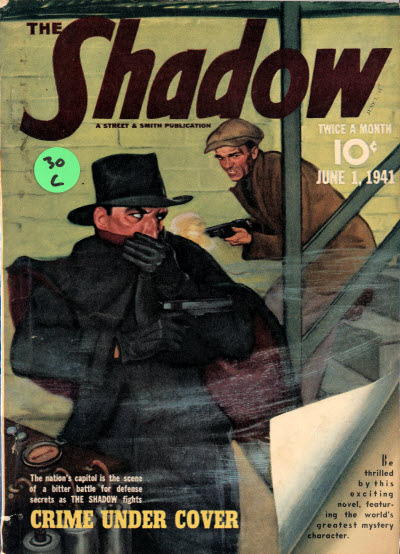 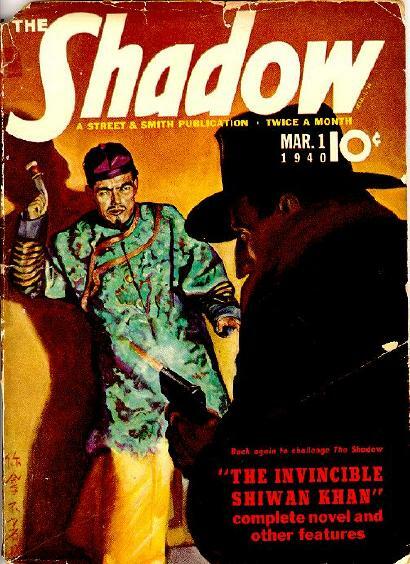 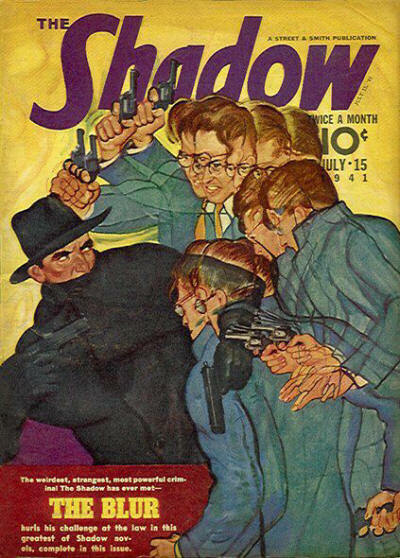 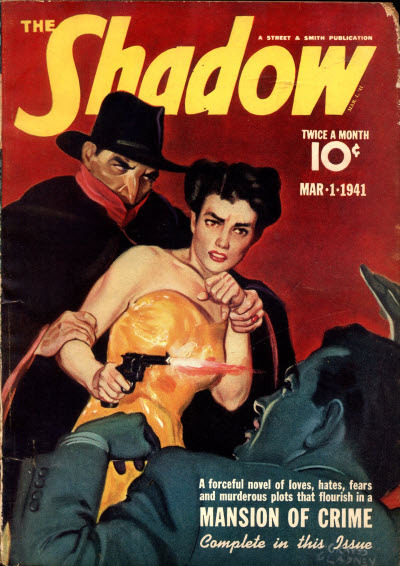 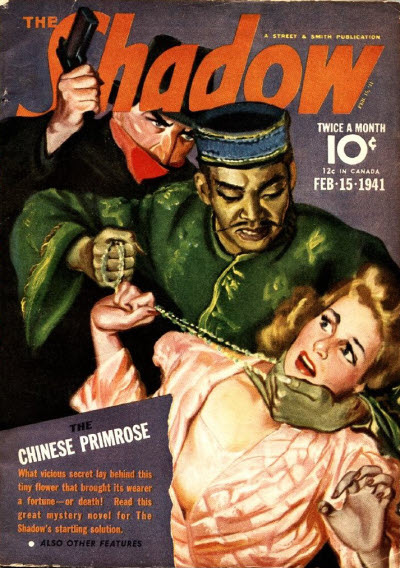 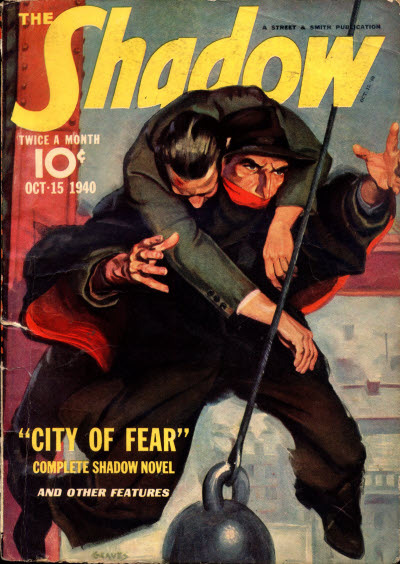 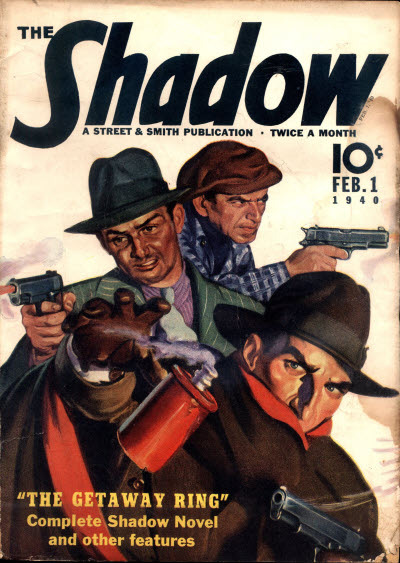 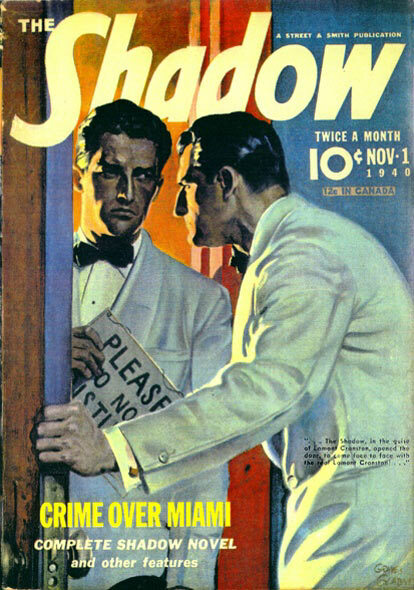 9 · The Chinese Primrose [Kent Allard (The Shadow)] · Maxwell Grant (by Walter B. Gibson) · n.
9 · Mansion of Crime [Kent Allard (The Shadow)] · Maxwell Grant (by Walter B. Gibson) · n.
9 · The White Column [Kent Allard (The Shadow)] · Maxwell Grant (by Theodore A. Tinsley) · n.
9 · The Time Master [Kent Allard (The Shadow)] · Maxwell Grant (by Walter B. Gibson) · n.
9 · The House on the Ledge [Kent Allard (The Shadow)] · Maxwell Grant (by Walter B. Gibson) · n.
9 · The League of Death [Kent Allard (The Shadow)] · Maxwell Grant (by Walter B. Gibson) · n.
9 · Master of Flame [Kent Allard (The Shadow)] · Maxwell Grant (by Theodore A. Tinsley) · n.
9 · Crime Under Cover [Kent Allard (The Shadow)] · Maxwell Grant (by Walter B. Gibson) · n.
9 · The Thunder King [Kent Allard (The Shadow)] · Maxwell Grant (by Walter B. Gibson) · n.
9 · The Star of Delhi [Kent Allard (The Shadow)] · Maxwell Grant (by Walter B. Gibson) · n.
9 · The Blur [Kent Allard (The Shadow)] · Maxwell Grant (by Walter B. Gibson) · n.